With some mixed economic data over the last week and not much going on in the world (other than the Ebola virus break out and the typical middle-eastern stuff with ISIS), the markets are looking for direction. 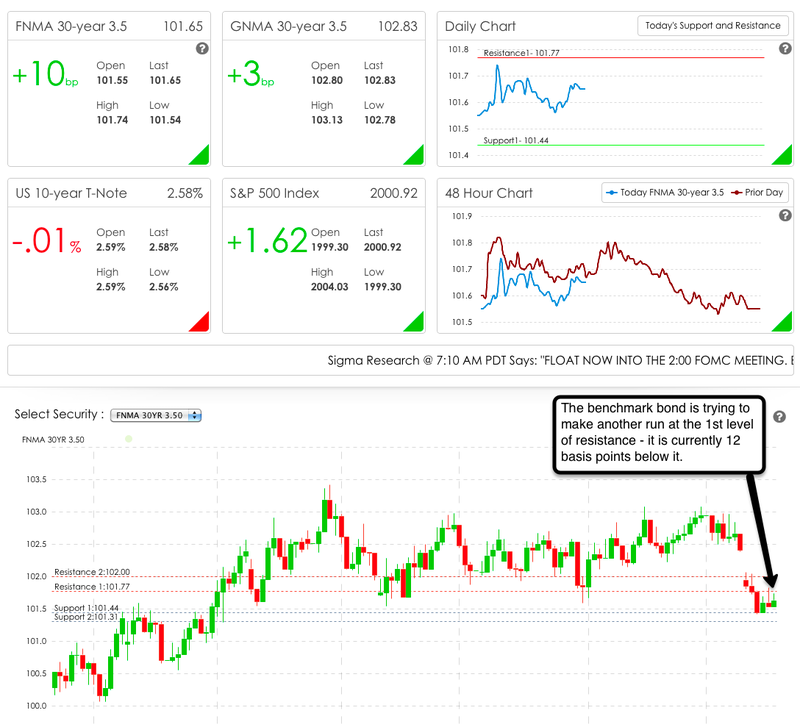 The Relative Strength Index (RSI) is still oversold so from a technical standpoint, we could see some buying as investors may look at current prices as an opportunity. However, it's been oversold for a few days and we haven't seen a whole lot of buying yet so they may be waiting to see if tomorrow's jobless claims are higher than expected again. If they are - especially if they are considerably higher (don't count on it) - then we could see some buying and that would be good for rates. For now, float with caution. Be ready to lock if any news comes out that would give the market a reason to sell off. The 200 day moving average will provide support at 101.45 (20 basis points below the current price) and then there's another support level at 101.31 - if the benchmark bond sells through that, it could get really ugly. Please feel free to share this with your friends and leave your comments. I'm happy to help with any mortgage-related questions as well - 702-812-1214.